WHO: Boys & Girls Clubs of Greater Oxnard and Port Hueneme invite the community to join them in celebrating National Boys & Girls Club Week. WHAT: During the weeklong event, hundreds of Club members will take part in a wide range of activities; everyone is welcome to stop by for a visit. MORE INFO: The Boys & Girls Clubs of Greater Oxnard and Port Hueneme exists to inspire and enable all young people to realize their full potential as productive, responsible and caring citizens. With three full-service clubs, 13 school program sites and one housing site, the organization is one of the largest of its kind in California, serving more than 9,000 members annually. The group is also the first Boys & Girls Club of its kind to open a site inside a Juvenile Justice Center in the state of California. Program areas offered to youth include character and leadership development, education and career development, health and life skills, the arts, technology and sports, fitness and recreation. Support Us at the Waterside Restaurant and Wine Bar! You have a lot to offer children and youth—even if you don’t have much time or money. The most valuable asset you have is you. Consider the list below from Take It Personally: Valuable Insights for People Who Care about Kids. Which of these things can you offer young people? Adults can . . .
Notice young people’s contributions and gifts. Ask young people for their advice. Include young people in decisions. Give young people meaningful roles. Help young people make their dreams come true. Find out young people’s opinions. Take seriously young people’s fears and worries. Learn the reasons for young people’s feelings. See young people as important contributors to your community in the present and in the future. Learn about music, books, and activities that are important to young people. Together we can help all of our children become productive, caring and responsible adults! It just takes a little Time! Remember the great times you had at the Club when you were young? Our Clubs may have changed over the years, but the Boys & Girls Clubs of Greater Oxnard and Port Hueneme is still a place where great futures begin. We’re putting together an alumni roster and want to hear from you, to hear about your life since being at the Club. It’s important to stay connected so we can continue making a positive impact on our community and the next generation and so that we can celebrate your successes together. We want you to share your Club memories with us of “back in the day” and share the joy in getting an education, raising a family, serving your country, pursuing a career or supporting your community. We are so proud of all of our alumni who demonstrate our impact every day. Join former BGCOP members like Katie Deutschman, who now has a successful grant-writing company called Turtle Type, or Keary Colbert, former professional football player and current college football coach. We’d love to stay in touch and keep you up-to-date on our latest activities. There are also many ways for you to get involved and give back to the Club. To stay connected, be sure to fill out the alumni sign in form. If you know of other alumni who would also like to reconnect, please spread the word and pass along a link to this page or forward this e-newsletter article! The Area Council Youth of the Year will be held on March 25; Anna Heath is our representative and will be GREAT! Everyone is invited to take part in National Boys & Girls Club Week, March 23 – 29. During the weeklong event, Club members will take part in robot-building competitions, tug-of-war games, a volleyball and beach ball toss, a spelling bee competition and a culminating awards ceremony. Thinking of joining the Club? This is a great way to see what we’re all about. Hundreds of community and Club members are expected to visit the Club during the fun week at the Martin V. Smith Clubhouse, 1900 W. 5th Street, Oxnard. Activities will also take place at The Teen Center at the Club’s Harriet H. Samuelsson Branch, 126 E. 7th Street. For more information about National Boys & Girls Club Week or to schedule a tour, contact Kelly Ventimiglia at (805) 815-4959 x205 or kventimiglia@bgcop.org. St. John’s Dignity Health Medical Group awarded the Club and FoodShare with the first-ever $50,000 Collaborative Grant to deliver healthy lifestyles programming to Club members. The Dignity Health 2013 Community Grants Celebratory breakfast was held Feb. 11 at St. John’s Regional Medical Center. “Helping our kids stay healthy and active is important. This grant will enable us to provide expanded opportunities and a more comprehensive experience for our members as they learn how to develop a healthy lifestyle. We are thrilled to join FoodShare in being the first to receive this award,” said Tim Blaylock, BGCOP Chief Professional Officer. The Club’s healthy lifestyles programming is a comprehensive health and wellness initiative, called Triple Play: A Game Plan for Mind, Body and Soul. It strives to improve the overall health of members, ages 6-18, by increasing their daily physical activity, teaching them good nutrition and helping them develop healthy relationships. BGCOP will be working with FoodShare, which offers the Kids’ Farmers’ Market Program. The program will provide nutritional education to Club members and provide them with hands-on experience in food preparation, and the opportunity to take home fresh produce, so they can put what they learn into practice. The program’s goal is to improve the long-term diets of children in Ventura County. The two organizations’ programs work in tandem to ensure overall good health and well-being through positive reinforcement of physical activity and good nutrition. The Club welcomes new board members Marvelle Berry, human resources manager at the Oxnard Procter & Gamble site, and Rigoberto Vargas, public health director at Ventura County Health Care Agency, an organization that works with the community to improve health, promote health and emergency preparedness, and prevent disease, injury and disability. “We are pleased to have Rigoberto and Marvelle join our board of directors. They are influential leaders in our local community and have a strong desire to help our members,” said Tim Blaylock, BGCOP Chief Professional Officer. Vargas has worked for the VC Health Care Agency for 15 years. He emigrated from Mexico to the United States at age seven. Vargas grew up in Santa Paula and now resides in Oxnard. He received his bachelor’s degree in Chicano studies from U.C. Santa Barbara and a master’s degree in public health from San Diego State University. He is also involved with the American Cancer Society and the Community Commission for Ventura County. Prior to moving to P&G’s Oxnard plant in 2011, Berry spent more than 15 years in various positions at the company’s Green Bay, Wisconsin plant. Berry also serves as vice chair of the Oxnard Chamber of Commerce board of directors. He received his bachelor’s degree in industrial engineering from Florida State University and master’s degree in industrial engineering from the University of Illinois at Urbana-Champaign. Join us this Thursday, March 13, for our 12th Annual Great Futures for Kids Breakfast! This year’s keynote speaker is Kyle Maynard, an incredible motivational speaker who challenges audiences to not give up, to strive to accomplish their loftiest goals. 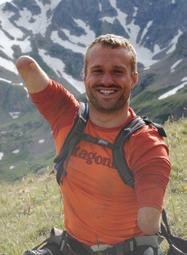 Born with a disability known as congenital amputation, where his arms end at his elbows and legs near the knees, Kyle was the first man to crawl on his own to the summit of Mt. Kilimanjaro, the highest mountain in Africa. As a motivational speaker, he teaches people around the world that there are no worthy excuses, no matter how challenging your difficulties may seem. The breakfast event is a community rally to help create Great Futures for Kids by supporting Club programs that ensure children graduate from high school and achieve self-sufficiency, along with possessing a strong character and leadership skills. Families pay $20 per year to become members of the Club; the Club pays the remaining $500 per year in program fees for each child. It’s money well spent, as members of BGCOP have higher graduation rates and lower teen pregnancy and crime rates than other area youth, resulting in a 1,200 percent return on donor investments. “Our 2014 campaign goal is to raise $100,000 to help us provide the quality programs and services to our more than 9,000 Oxnard youth and their families,” said Tim Blaylock, BGCOP Chief Professional Officer. Despite his physical challenges, Maynard has wrestled for one of the best teams in the Southeast, set records in weightlifting, and fought in mixed martial arts, among many other things. For more information, or to attend the breakfast, contact Tim Blaylock at (805) 815-4959 ext.203 or tblaylock@bgcop.org. To make a donation to the campaign, visit bgcop.donordrive.com. Because of your investment every year, the Boys & Girls Clubs of Greater Oxnard and Port Hueneme has consistently continued to positively impact the lives of more than 9,000 young people and families in our communities – giving them hope, guidance and an opportunity for a brighter future. Instead of going home to an empty house, young children walk through our doors and are greeted by caring adult staff and volunteers, who engage them in positive activities. Instead of hanging out on the streets, teens come to the Club where they find positive role models and productive activities that keep them inspired and motivated. Each and every day children come through our doors in need of help, in need of an opportunity to participate in positive activities and in need of resources to be successful. Every year our youth at the Boys & Girls Club continue to thrive in our programs, while contributing positively to their Club and their community. With your support, we provide consistent, self- esteem, values and skill-building experiences, to kids that need us the most. Your contributions help our local youth be more likely to progress to the next grade level, get a job and go to college, make positive and healthy life choices, and take ownership and pride in their community. Every time one of our youth develops skills and the courage to overcome their personal challenges, we see hope for a brighter future. And each time that happens, we are reminded we could not do it without the support of individuals like you. 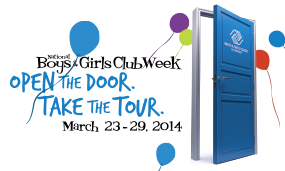 Please come by and have our youth give you a tour to see the magic you have helped create at the Boys & Girls Clubs of Greater Oxnard and Port Hueneme. For $500 a year, a child is given hope and guidance to making good choices for their future. Although we only charge $20 to the family of the youth and if that child cannot pay due to economic hardship they are given a scholarship. Every dollar counts and your donation today will make an immediate impact in the lives of our local youth. We are not a governmental agency. We are a nonprofit 501C3 and rely on gifts from individuals like you.